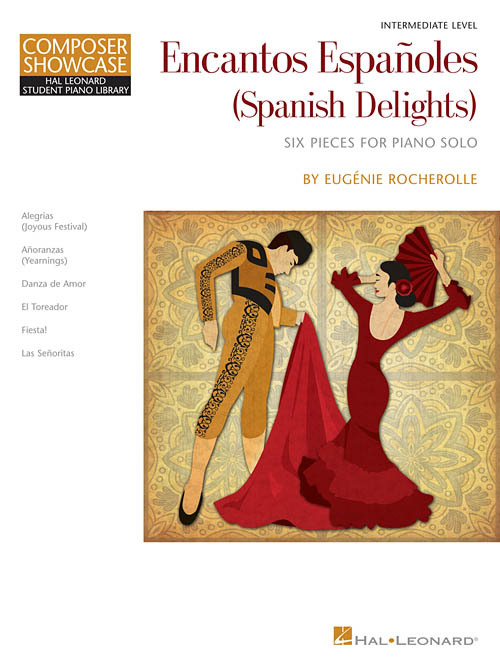 Eugénie Rocherolle's newest Spanish style collection of intermediate piano solos is sure to delight with its impressive, fiery and sweetly lyrical pieces. Original solos include: Alegrias (Joyous Festival) • Anoranzas (Yearnings) • Danza de Amor • El Toreador • Fiesta! • Las Senoritas.